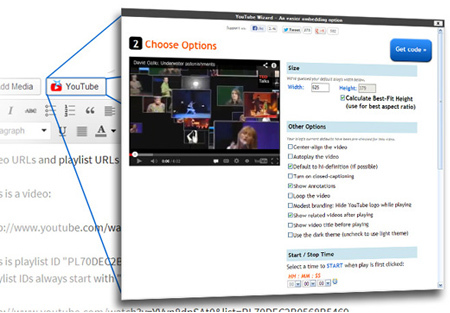 Customized YouTube embeds with the extra row of features require Flash support. For devices that do not currently support Flash (e.g. iPhone/iPad, Android phones without a Flash browser), these customized embeds will gracefully emulate standard YouTube embeds. Embed a playlist or channel gallery with a table of contents of video thumbnails. Grid layouts and vertical (one-column) layouts are supported, with even more styles coming. Conveniently set parameters and automatic defaults with greater flexibility than tools like oEmbed (for standard and customized players). Get alerts when embeds are taken down from YouTube.com or blocked in regions/countries (for standard and customized embeds). (for standard and customized embeds). Below are more details about our free and premium features. 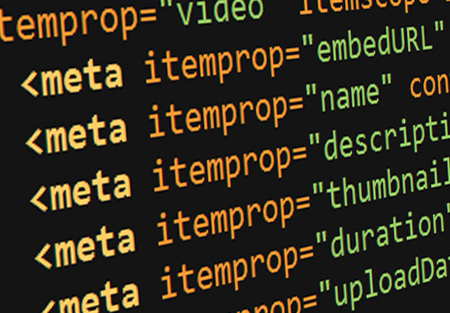 Whether you're setting parameters and automating site-wide defaults in WordPress, there can be multiple options to consider. Our tools also include wizards for convenience and greater flexibility than tools like oEmbed. You won't have to memorize or look up codes for tasks like: enforcing the same origin security policy, adding video thumbnails, auto-loading the HTTPS player, best-fit sizing, setting or muting the initial volume, adding a playlist or channel gallery, and localization. All built-in editors are compatible, including Gutenberg. See how to embed a YouTube video, gallery, or livestream with the WordPress Gutenberg block editor. Embed a responsive YouTube thumbnail gallery in WordPress to display a playlist or entire YouTube channel with an elegant table of contents. Display lazy loaded YouTube videos with eye-catching animation effects as videos load on the page. 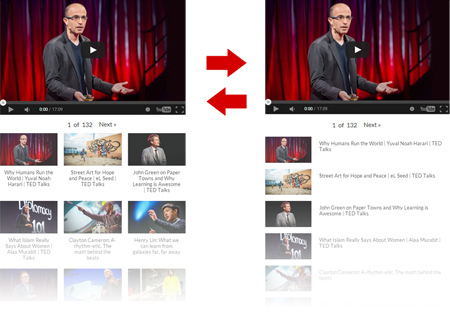 YouTube takes down videos all the time, leaving 'empty embeds' across a vast number of already published pages. Find out when, so you can avoid the annoying 'This video does not exist' message on your pages and galleries. More and more visitors are browsing the web using mobile devices. Some YouTube channels, however, block the viewing of their videos on these devices for different reasons (e.g. preferred desktop ad revenue and user experience). For each standard YouTube video you embed, you can see if it has restrictions that might limit your site's mobile visitors from viewing it. Automatically add Google, Bing, and Yahoo friendly markup for a greater chance of showing up in search engine video results. YouTube Live Stream - Given a link to a YouTube channel, the plugin wizard automatically finds a live stream if one is active in that channel and generates the embed code for you (click here for a tutorial on how to embed a YouTube live stream on WordPress). On the settings page, you can also set defaults of what to automatically display if a live stream is not active at a given moment. For example, you can have your site display a gallery of a channel's entire video library so that users can have something to watch in the meantime. We hope it's a time saver. Automatically embed with the YouTube no cookie option, restrict the YouTube API, and/or get explicit consent from your users even before a YouTube video loads on your page. tens of thousands of sites manage their YouTube embeds and galleries.